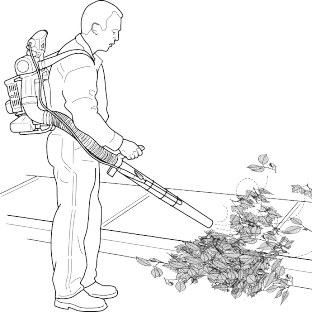 Petrol powered leaf blowers and vacuums need regular maintenance to keep them working like other garden and landscaping equipment with petrol engines. I found the video below which walks through the steps needed to service a petrol leaf blower. It comes from the American spares supplier eReplacementParts but spares are available in the UK from mail order dealers such as Buyspares.